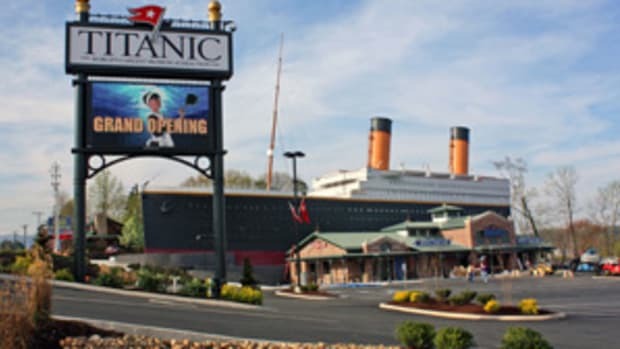 Less than a year away from the 100th anniversary of the sinking of the Titanic, a British tour company has chartered two cruise ships to depart New York and perform this memorial service on the night of April 14, 2012. The ship hit an iceberg on its maiden voyage at 11:40 p.m. and foundered four hours later, losing 1,517 people in the icy North Atlantic. A surprising number of people are still infatuated with the tragedy and some will be honoring those who died in a special service to be held at the site of the tragedy 400 miles out to sea south of Newfoundland. "Most of the people are British, but there are also Americans, Australians, Canadians and others," Tara Plumley of Miles Morgan Travel told Fox Business, "14 nationalities in all. Some of them had relatives on board who survived, or who were among the 1,517 that did not. Some have another connection, or they just find the story fascinating."